With FQHC billing services being one of the cornerstones to our business, our team of experts at Practice Management represents a reputable and highly sought-after FQHC billing company in the U.S. Contact us to learn more about how Practice Management works to maximize your advantages with professional Federally Qualified Health Center Billing! Or learn more below about what makes our company a leading provider of FQHC billing solutions. Practice Management has the experience it takes to improve your Federally Qualified Health Center (FQHC) billing. We are well-versed in providing highly-professional FQHC billing services, and we will work to give you the most advantageous and streamlined patient billing experience. Practice Management is a reputable FQHC billing company with a proven track record in maximizing revenue as well as decreasing payment turn-around time. Our experienced staff provides physician billing services for all aspects of FQHC billing, CHC billing and coding — including Medicaid, Medicare and Commercial Insurance for medical, behavioral health and dental claims. In addition, we have bilingual customer service staff for the convenience of our clients. Why Practice Management As Your FQHC Billing Company? Practice Management is a premier FQHC billing company that’s committed to your satisfaction while conforming to all published and applicable Federal, State, and Local laws, statutes and regulations. As a leading medical billing company, we promote legal and ethical business practices throughout our organization, with our clients and within the community. When working with us you get reliable, ethical service for your Federally Qualified Health Center billing. We can handle your Federally Qualified Health Center billing requirements and you will experience increased income, reduced overhead costs, improved cash flow, increased patient and provider satisfaction and coding expertise through the use of fully compliant policies and procedures — just a few of the benefits of working with your expert FQHC billing company. We provide routine standard and customized reporting for all clients invested in our health center billing services. Upon implementation, we work with you to determine the unique reporting requirements of your FQHC and will program reports specific to your needs giving you a customized FQHC billing service. Click here for more information. Significant on-going consultation is available for providers and administrative staff for billing service clients. Typical topics for consultation include coding, software usage, front office procedures, and financial policies and procedures. We can also provide only revenue cycle management consultation services, which can include reviews of all or part of your current processes, from software file maintenance, setup and configuration, and analysis of accounts receivable to actual accounts receivable recovery services. Click here for more information about our FQHC billing consultations. Proper provider credentialing makes the difference between getting paid and not getting paid. 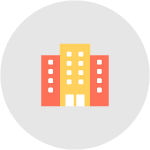 Practice Management can provide credentialing services for your new locations as well as medical, dental and behavioral health providers. We give your center increased security and more time to concentrate on your patients. Click here for more information. We operate within the safe harbor of all laws and regulations. Our compliance officer and committee work continuously to ensure adherence. When working with our FQHC billing company, your Federally Qualified Health Center billing will be managed ethically and legally. Patient contacts can be customized to suit your needs. Available services included patient statements, past due letters, outbound calls, web based payment portal, toll free inquiry, and our dedicated patient service representatives. Any of the patient services may be combined to suit your needs. Providing experts to maximize your profits with FQHC billing. Consulting with you to give you a more personal experience. Obeying all legal and ethical regulations. Managing services, like credentialing, for your convenience. Guaranteeing excellent bilingual customer service. To reduce overhead costs and increase your cash flow, learn more about our FQHC billing company and contact Practice Management today! What makes Practice Management different from other FQHC billing companies is that we combine state-of-the-art technology with aggressive revenue cycle management. This combination of resources, coupled with our experienced team of FQHC medical billing specialists, can result in drastically increased revenue for your clinic. We specialize in medical billing for FQHCs and can work within the Practice Management system of your Electronic Health Record. Experience lower overhead, faster payments, increased cash flow, higher revenues, improved patient satisfaction, and have more time to focus on patient care.